It's an unbelievable text. Knight highlights a particularly wonderful passage in which Panza admits that not buying Warhol in the early 1960s was a mistake. "I believed that Lichtenstein was better, and in 1962 Warhol looks to me close to Lichtenstein but not so good as Lichtenstein," Panza said at the time. "But it was a mistake, because it was not true." 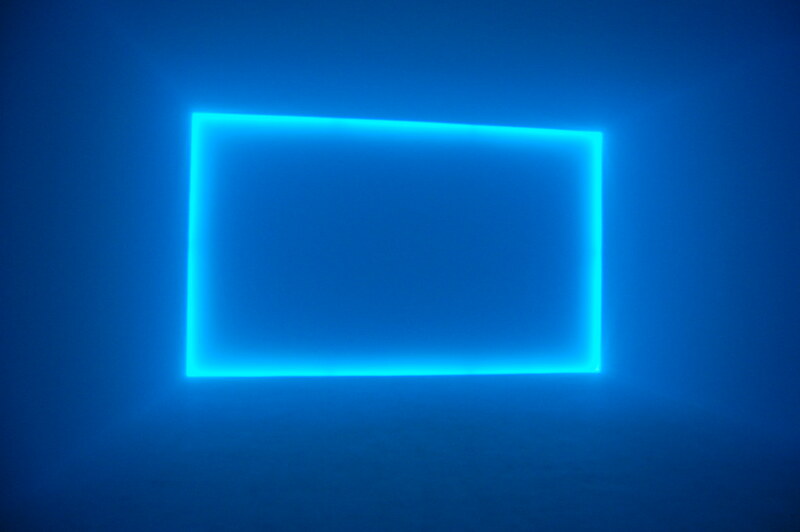 Greg Allen has pointed out some choice passages on Panza's interest in Rauschenberg and Turrell and his preference for abstraction. MR. KNIGHT: After having collected for almost exactly 20 years, why did you stop? DR. PANZA: Well, I stopped for economical reason. I run out of cash! MR. KNIGHT: [Laughs] That'll do it! DR. PANZA: No more money available. I always spent all the money it was possible to spend. Unfortunately after 1976, '75, my business was not so good as before. I already made something dangerous, from a financial point of view, to have spent so much money between 1969 and 1975. DR. PANZA: Because when I decide to buy, I was so sure that the work had to be purchased, and in the largest extent possible. Because the work was important. It turns out that missing Warhol wasn't his only error. He also stopped collecting Lichtenstein early on, partly at his wife's request. MR. KNIGHT: On a rather lower level, why did you stop with Lichtenstein? You have four pictures. DR. PANZA: Yes. Because I made a big mistake. It was one of the biggest mistake of my life as collector. Because in '62 I bought seven Lichtenstein. I pay $600 each. My wife do not like Lichtenstein. She is always with me in the judgment of art, and is my main support for my collection-without my wife, it would be impossible to have the collection I have, because she was always very interested in art and we had always the same judgment. She is more smarter than me. The detail became a painting, in Raphael. If you look at the finger of the virgin, you see a landscape, because of this finger became an element of nature; this steady transition from the past to the whole is extremely interesting. How this art was developed and I understood through Duchamp. I ran more photos of the Hirshhorn's exhibition of its Panza acquisitions at the end of 2008. (Panza also gave and sold work to MOCA, SFMOMA (earlier this month), and the Guggenheim.) Art+Auction's Judd Tully provides some details on Panza's feud with Donald Judd (no relation), who, echoing columnist Gary Wills' assessment of Richard Nixon, compared the collector to the Iliad Thersites. "He cannot be embarrassed, he cannot be shamed, he cannot be silenced. He has never done anything wrong," Judd wrote. 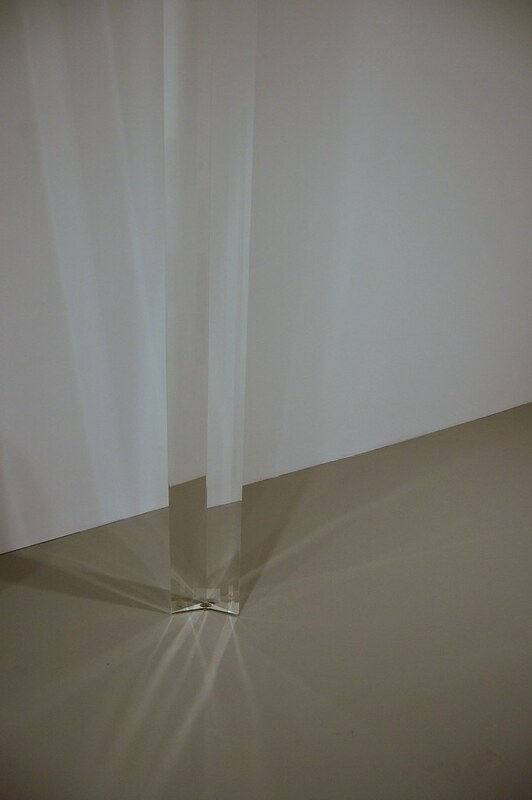 Robert Irwin, detail of Untitled, 1970-71. Hirshhorn Museum and Sculpture Garden. Great thanks for posting! by the way are there feeds to your blog? I wanted to add them to my reader.